The Counting By Twelves Song is great for learning how to count by 12s. 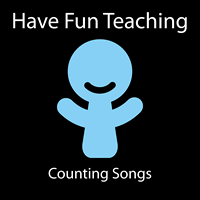 This song, by Have Fun Teaching will have your kids singing and dancing while they are learning counting by twelve. This is a great counting song for teaching multiplication facts and skip counting. Description: Math song that teaches counting by twelve to ninety-six. This song will teach students how to count by twelve from 12 to 96. This is a song for learning how to skip count by 12s.